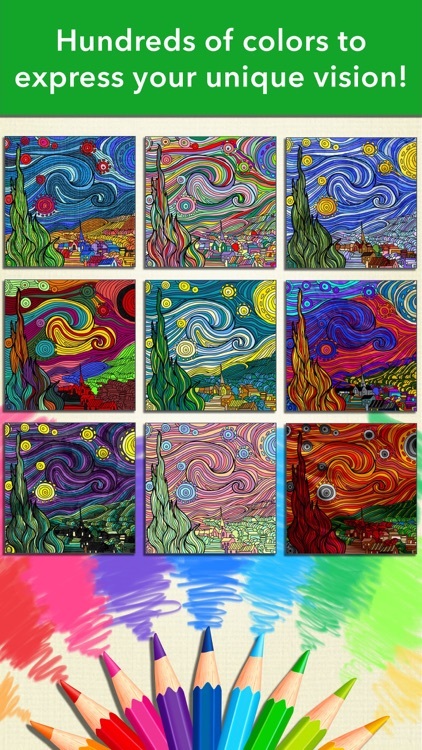 Turn on peaceful ambient soundtracks like Rainy Day, Mountain Stream, or Ocean Waves and lose yourself in the palm of your hand. 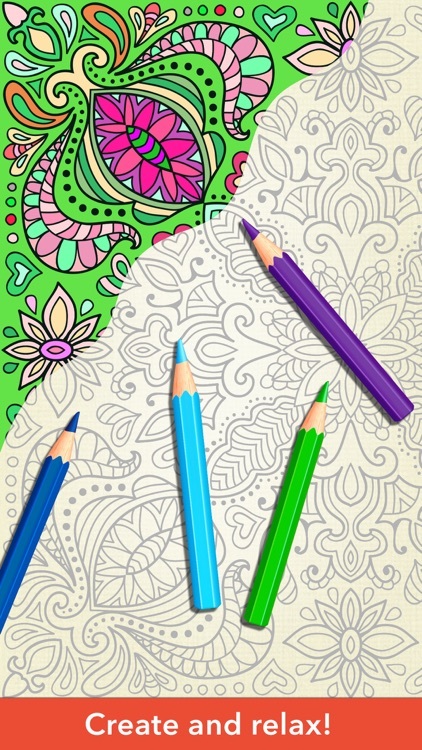 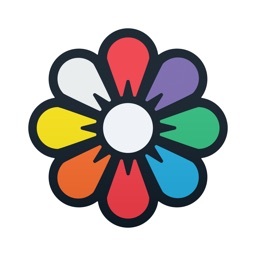 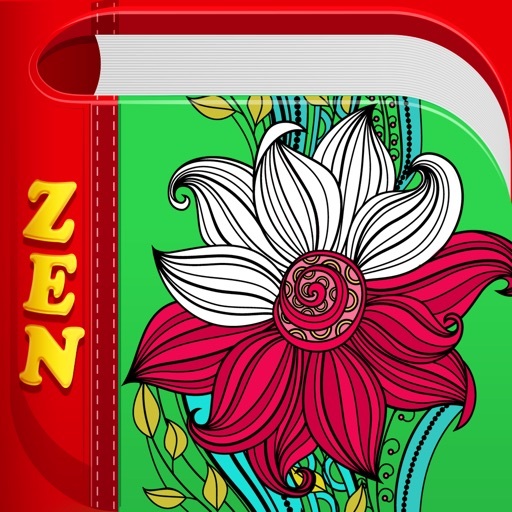 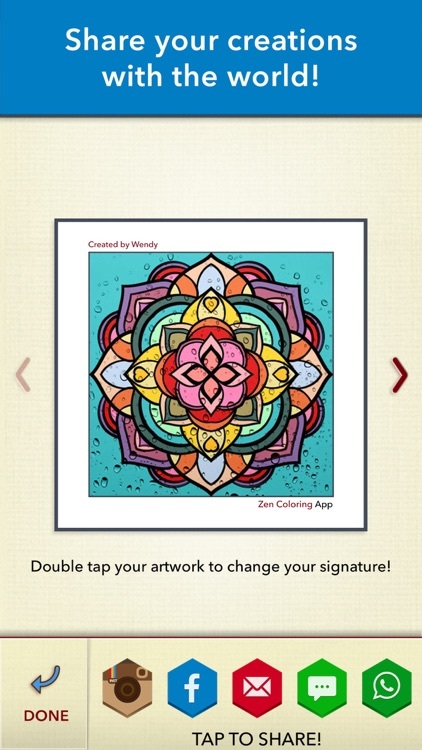 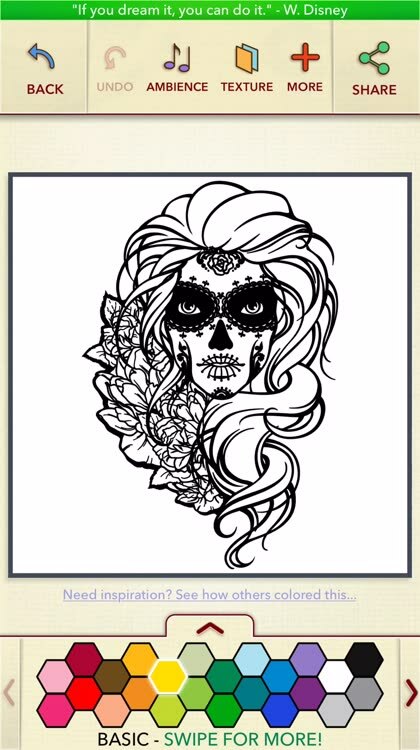 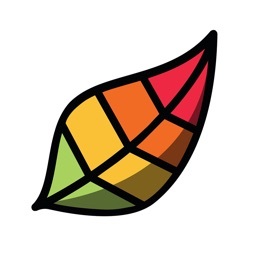 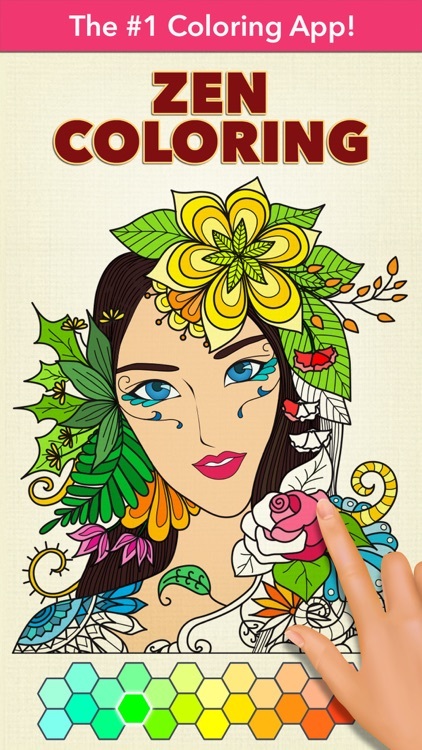 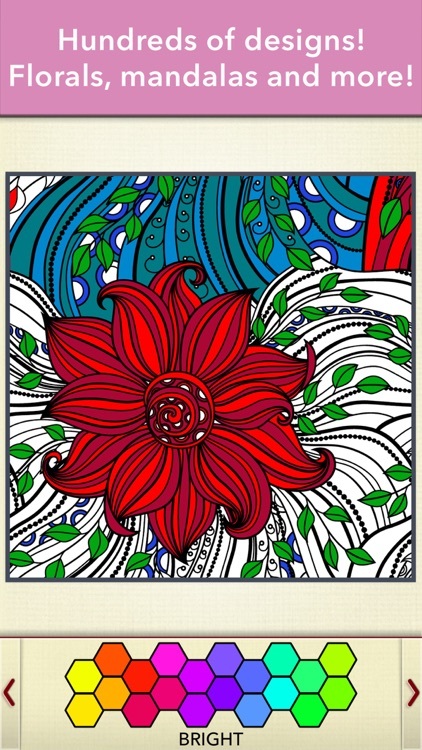 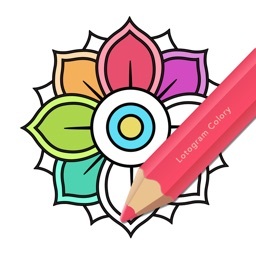 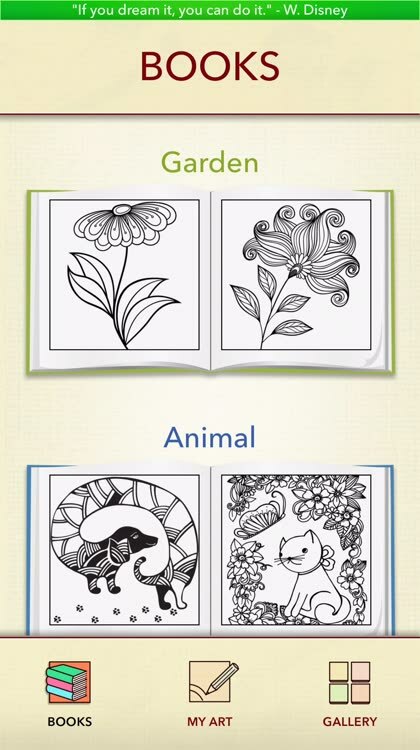 All of your favorite adult coloring designs like Garden, Mandala, Exotic, Animal, and Celtic are available in a single app together with an assortment of fun categories like Fantasy, Gothic, Abstract, and Fine Art. 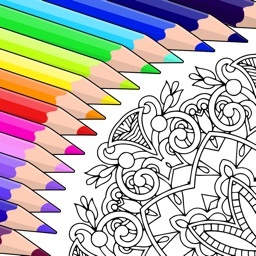 You can even color on different textures like canvas, leather, brick, and silk.